I painted this as a promotional piece for a project that my agent is putting together with all of his artists. 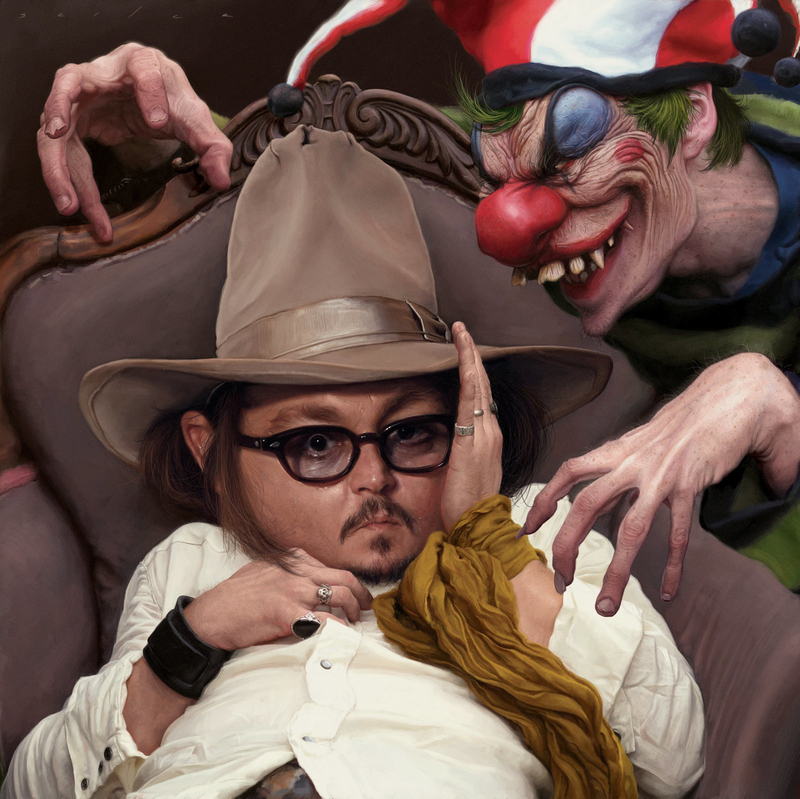 I was asked to do something fun with a factoid about Johnny Depp, and my factoid was "Johnny Depp is afraid of clowns". So, it was fun coming up with the idea and look of the piece. My first choice for a composition would not be a square as I feel it's an odd shape to try and compose something interesting with, but that was part the requirements for this project. The final printing size will only be 4"x4", so I had to keep in mind that the original print size will be quite small. I spent a lot of my time looking at the image shrunken down to get a feel for how it would look. Overall, I had a lot of fun working on the characters of both the clown and Depp.